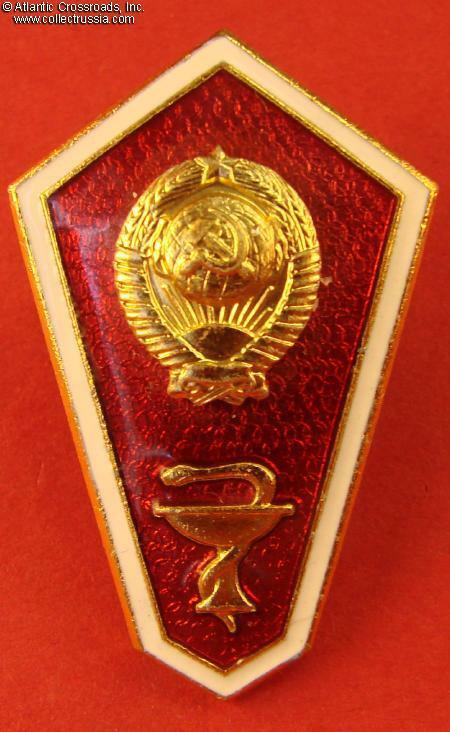 Nursing School graduate badge, 1970s-80s. Aluminum, enamels; 41 x 26 mm. 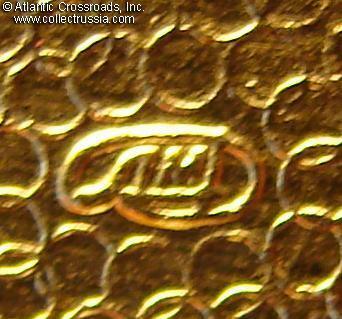 Mint marked "LMD" (Leningrad Mint) on the reverse. 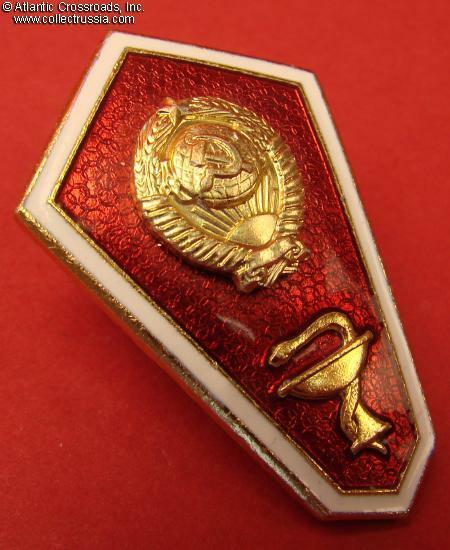 Two-piece construction: the state emblem is a separate, superimposed piece. Excellent condition. 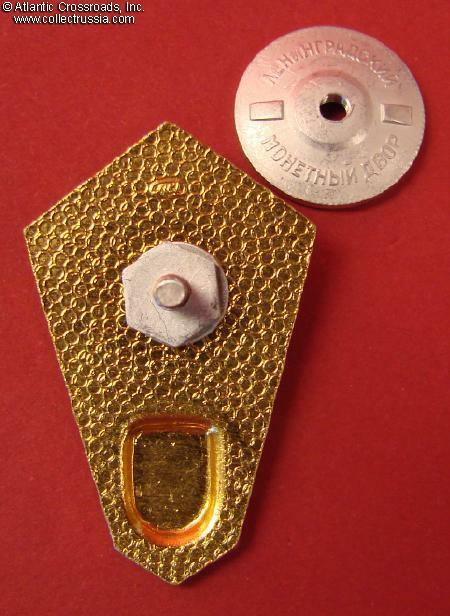 Includes original "Leningrad Monetnyi Dvor" marked screw plate.